As I wait with anticipation for the acclaimed impresario in her living room, my eyes inadvertently scan the photographs dotting the white walls. Black and white, these vignettes taken by Dayanita Singh are interspersed with images of her as a child, in myriad moods. “That was taken by my mother” — an animated voice cuts through the silence in the room. I turn around to see a smiling Singh. “You’ll see plenty of mini-mes in this house, all taken by her,” she quips, as we sit down for a heart-to-heart about her inspirations, exhibitions and upcoming projects. Her warmth is an instant ice-breaker. Singh, who has over time transitioned into an inventive artist of repute, sees her mother, Nony Singh, as a heady source of inspiration. A fact that peppers our initial tête-à-tête. “If you follow me on Instagram you’ll see regular posts that are pictures clicked by her. But there is this one picture that keeps reminding me of her beauty and individuality,” observes Singh, referring to a striking shot of a young, attractive Nony basking in the Dehradun sun in her self-stitched swimsuit. Captioned ‘With a mother like this…’, there is more than a hint of admiration. 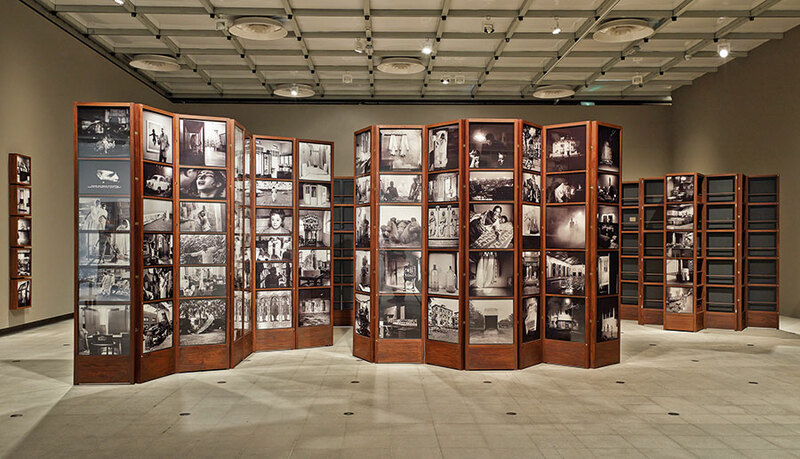 Singh’s recent Museum Bhavan project — a large scale installation composed of photos clicked by her from the time she stepped into the realm of photography in 1981, also includes plenty of photos taken by Nony as well, of Dayanita and her siblings during their childhood years. The images not only draw the viewer’s attention to Singh’s early years but are also a reflection of her trials with the viewfinder and how she subsequently came to choose it as a career after passing out of National Institute of Design in Ahmedabad and the International Center of Photography in New York City. So, does she think that many artists will be taking to the portable museum as a medium? Singh replies in the affirmative, “I believe so. It is a very exciting form for an artist. A museum is a collection of what someone considers valuable and worth preserving. For me, the shots I’ve taken all these years form a collection that I thought necessary to put up in a museum format. Later, a pocket museum was my way of making my pictures accessible. I am sure artists will find their own forms to disseminate their works as gallery and museum spaces are not enough today.” Perhaps, that is why she puts so much thought into the text that goes alongside her images. Sent a Letter took the form of a handmade box filled with seven photographic diaries of Singh’s travels in India. The journals were accordion-folded, allowing readers to create their own private miniature exhibition. Thereafter, published in 2015, Museum of Chance contained 88 images from Singh’s archives. Placed in custom-made wooden structures and mounted on a wall, a full set can be presented as an exhibition. “I often transport the books in leather suitcases that I call the Suitcase Museum,” says Singh. Her most recent work, Museum Bhavan, comprises nine smaller museums of prints housed in folding wooden frames. This is the mother museum, and as you get closer, you notice that the screens are arranged in clusters — the Museum of Little Ladies, Museum of Furniture, Museum of Machines, File Museum, Museum of Chance and so on.The cluster of shots can be rotated and intermingled from time to time by Singh as the structure of the show is flexible. 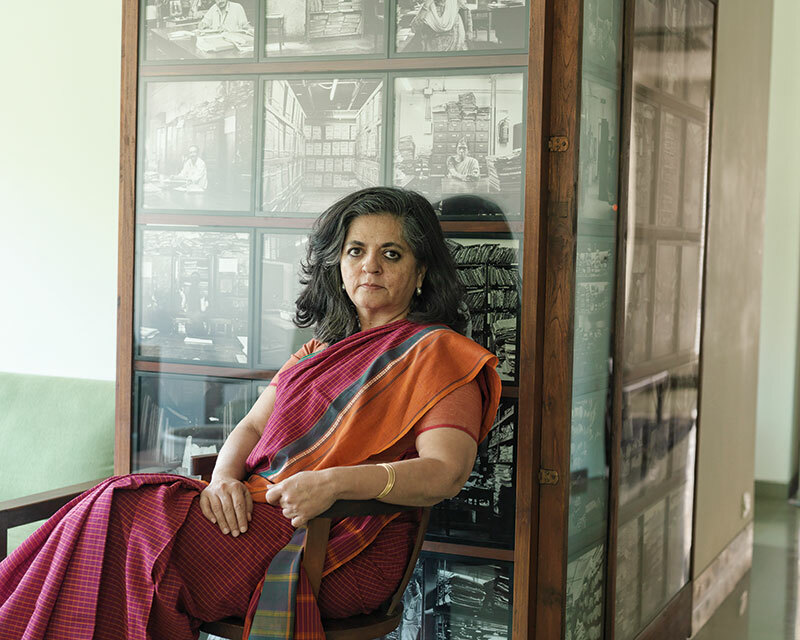 When they’re not travelling to art institutions around the world — places like London, Frankfurt and Chicago, apart from the Kiran Nadar Museum of Art in Delhi — the museums are stored in her Vasant Vihar home in New Delhi, where they are on display from time to time. Each museum holds old and new images. The screens can be opened and closed to create different shapes, spaces and connections within and among them. They come with their own boxes, tables, stools and benches. “These become part of different kinds of movement, activity and interaction that animate the viewer’s experience. This is where a curator steps in,” explains Singh. Gifted with the art of keeping the audience riveted, Singh’s excitement is palpable when she talks about the upcoming release of her Pocket Museum miniature book that will be distributed by Roli Books in India. “Here, the museums live in nine accordion-fold booklets housed in a unique box handmade in India. I want viewers to arrange the booklets however they wish, designing their own exhibitions,” she says. Also, Museum of Chance has just been acquired by the Museum of Modern Art in New York, even while Singh plans her next museum and book object. “I am always working on something new and thrilling. Because, an artist can never stop ideating, creating and then curating for that flawless visual experience,” Singh rounds off with a broad smile.